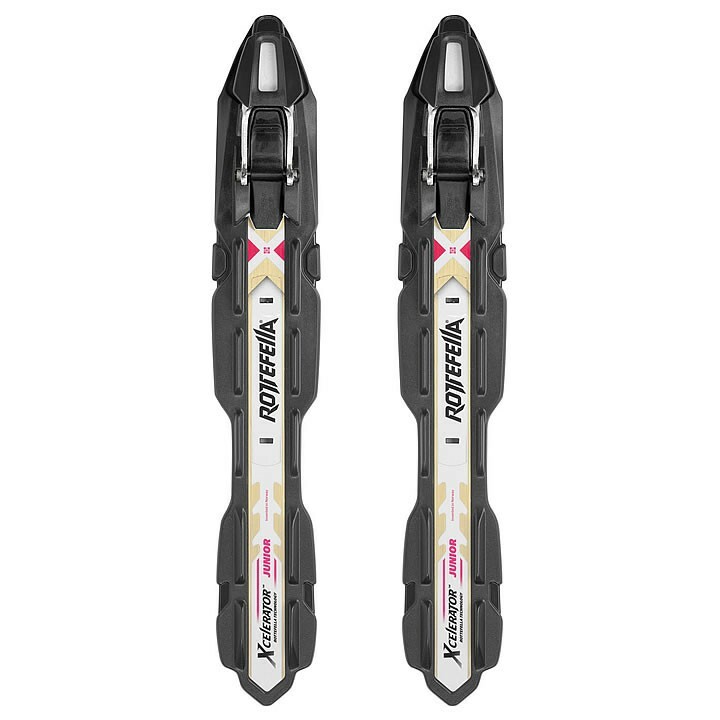 The Rottefella Xcelerator Classic Jr is an ultra-lightweight junior NIS race binding designed for competitive classic skiing. The 40-shore flexbit system allows more free and natural foot movement while the large opening angle increases kick power and stability. For use with NIS compatible skis only.